Dying Light, with the help of booking experts Paddy Power, determine what the odds are that the Real Madrid vs. Barcelona football match (AKA soccer) could have ended up starting the zombie apocalypse. Even though by now the match is long over, prior to Real Madrid and Barcelona facing off on the pitch (it is called a pitch, isn’t it? I don’t follow sports,) Dying Light developer Techland, along with booking service Paddy Power, took the time to see just how likely it would be that the zombie apocalypse might start during the game. The end result is a little on the deep side for a joke, but fascinating all the same. According to the experts at Paddy Power, who are apparently known for being good with this kind of thing, the initial carrier would, naturally, be Luis Suarez of Barcelona’s team. Why? Because with his history of biting other players (as evidenced by a previous ban following last year’s World Cup) he is obviously already a card-carrying cannibalistic member of the undead. From there, the pair of companies proceed to examine in details the hows and whys of exactly what could happen to result in anything from a minor outbreak of zombie footballers to a full-blown apocalypse-scale infestation, and the results aren’t good. At least, I don’t think they’re good. Odds have never been my strong suit. When will Suarez bite a player? Where will Suarez bite a player? Which player will Suarez bite? * Applies to El Classico and to match time only; all in, run or not; others on request. Looking at things now that the event is passed, we seem to have dodged a real bullet. After all, a 1 in 500 chance might not seem that great (about 0.2 percent,) but when you consider that that’s apparently about the same odds as any given individual dying of heart disease in a year… yeah. 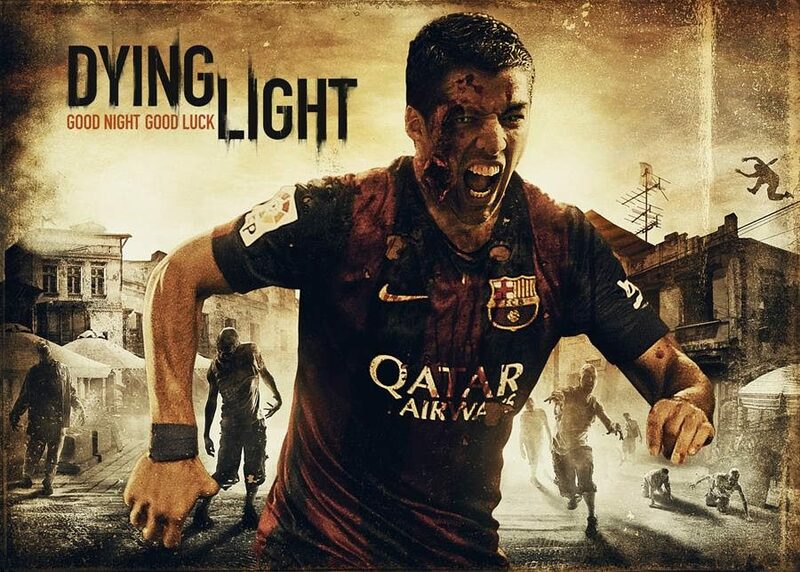 If you are one of the many who are disappointed by their loss of a chance to slaughter a few zombies thanks to the failure of the apocalypse to happen, then hold on until January 30th, 2015: that’s Dying Light’s official release date, after all, and once it arrives, you will be free to free-roam slaughter all the undead you wish.